Buying wholesale clothing can be either a lot of fun or a huge headache! Think about it. There are thousand of wholesale vendors out there selling millions of products. With so many items to choose from, the prospect of receiving bad merchandise is scary. 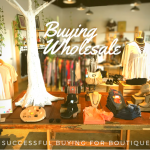 For this reason I’m here to share tips for buying wholesale clothing including where and how to buy it. Here’s a disclaimer. The method that I’m sharing below is not favorable amongst current boutique owners. However, I think this is a great way to find wholesale clothing brands when you’ve tried everything else and you’re ready to give up. Go out to boutiques and look at their tags! They won’t like it… but, oh well! Part of starting any business is knowing what the competition is doing. Think of it as doing market research! Watch my video below to see what I’m talking about! A few other great methods for buying wholesale clothing are, of course, attending fashion trade shows and visiting the LA fashion district.I would definitely recommend these two methods! So, I’ve already briefly told you where to buy wholesale clothing; fashion trade shows and the fashion district. You also know that I highly recommend wholesale fashion marketplaces like fashiongo.net. But, let’s get a little more specific! I want to share a few of my FAVORITE wholesale vendors. 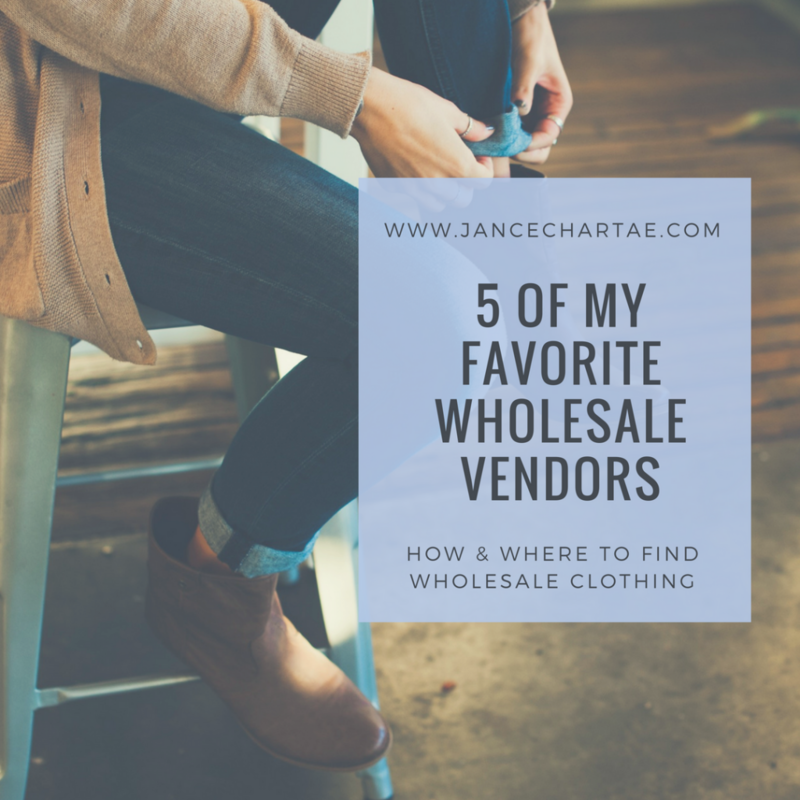 Keep reading to see five of my favorite wholesale vendors. Click HERE to download my vendor lists! Would you like to receive contact information for these vendors plus, 20 others? Click here to download this list today! 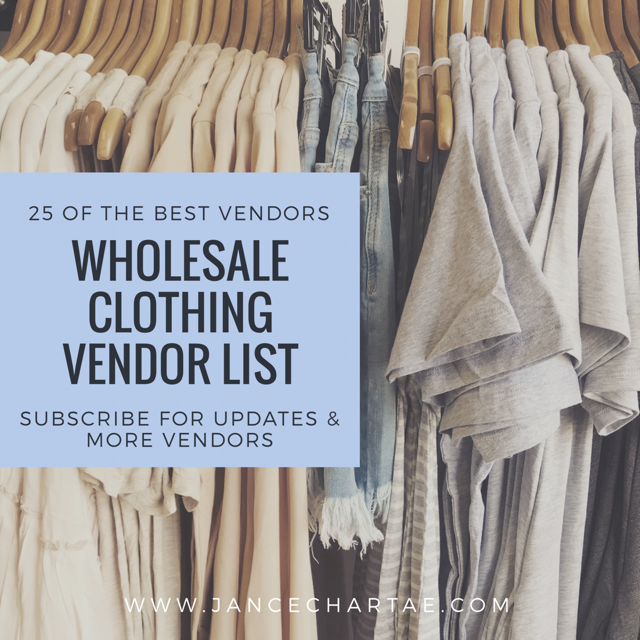 Are you interested in learning about over 100 wholesale vendors? Click here to download a list featuring 145 vendors. There are also lists available for specific categories such as shoes and accessories! Download your copy today! Also, watch my video below to see me talk about three of my favorite vendors as well as see a couple of items we’ve received from those vendors! Well guys, I hope that you’ve enjoyed this post! Please comment below if you’d like to see a post about any other topics or shoot me an email at jance@jancechartae.com.